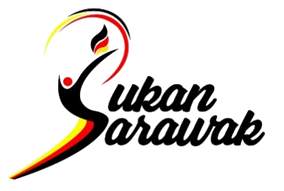 There are over 400 technical and general volunteers who are expected to be on duty during Sukan Sarawak (SukSar) 2017 which will feature 18 different sporting events including 4 for para athletes. The large number of volunteers are needed for SukSar 2017 because of the events which will be held from 14 to 17 December 2017 and the venues are at Sarawak Sports Complex in Petra Jaya, Kuching, Universiti Malaysia Sarawak (Unimas) Sports Complex and Summer Mall, both in Kota Samarahan. The volunteers who comprised of people from all walks of life are to be stationed at the various tournament venues for weightlifting, cycling, badminton, athletics, swimming, archery, rugby, judo, women sepaktakraw, Muay, lawn bowl, handball, petanque and karate. Contents Maintained by SUKSAR Copyright 2017. All rights reserved. Supported Browsers: Mozilla Firefox / Chrome / IE 9 and above. Best viewed with 1280 x 720 screen resolution.